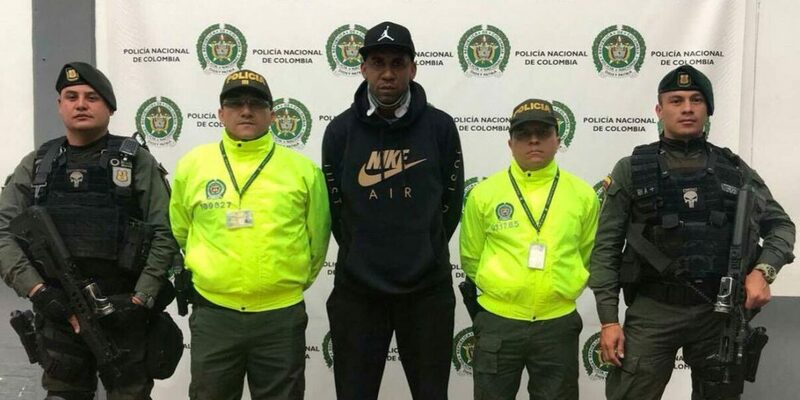 Colombia football star Jhon Viafara has been arrested after the US government accused him of drug trafficking for paramilitary group AGC. Viafara was arrested in Cali after a car accident that occurred while Viafara was allegedly speeding and intoxicated. The former player of English sides Southampton and Portsmouth was allegedly involved in a scheme to transport and distribute 2.5 tons of cocaine between 2017 and 2018 by air and sea to Central America, where they would have been sold to the Sinaloa Cartel from Mexico and sent onwards to the US. According to investigators, Viafara paid those who transported the shipments by plane and speed boat. The football player’s father denied the charges, claiming the family doesn’t even have money to pay the utilities bill. I can assure you that my son was not involved in that. It doesn’t make sense to say that he was driving say millions of dollars, and here (in the house) we haven’t had $300 to install gas. Prosecutors in Texas allege that the football star is tied to the Gaitanista Self-Defense Forces of Colombia (AGC), called the Gulf Clan by the government, Colombia’s largest illegal armed group with between 3,000 and 7,000 combatants. A primary ally of the Sinaloa Cartel in Mexico, the group that was formed by dissident members of paramilitary umbrella organization AUC (19997-2006) is considered Colombia’s most prominent player in the cocaine trade, trafficking most drugs across the Pacific to the United States. Midfielder Viafara played on Colombian club and national teams before moving onto Southampton, Portsmouth, and Real Sociedad. He retired in 2015. He was previously in trouble with the law for another auto-accident while driving intoxicated. The Colombian drug trade has drawn other retired Colombian football players. Last month, National team defender Diego Leon Osorio was convicted for distributing drugs. John Jimenez was also charged with the same crime.